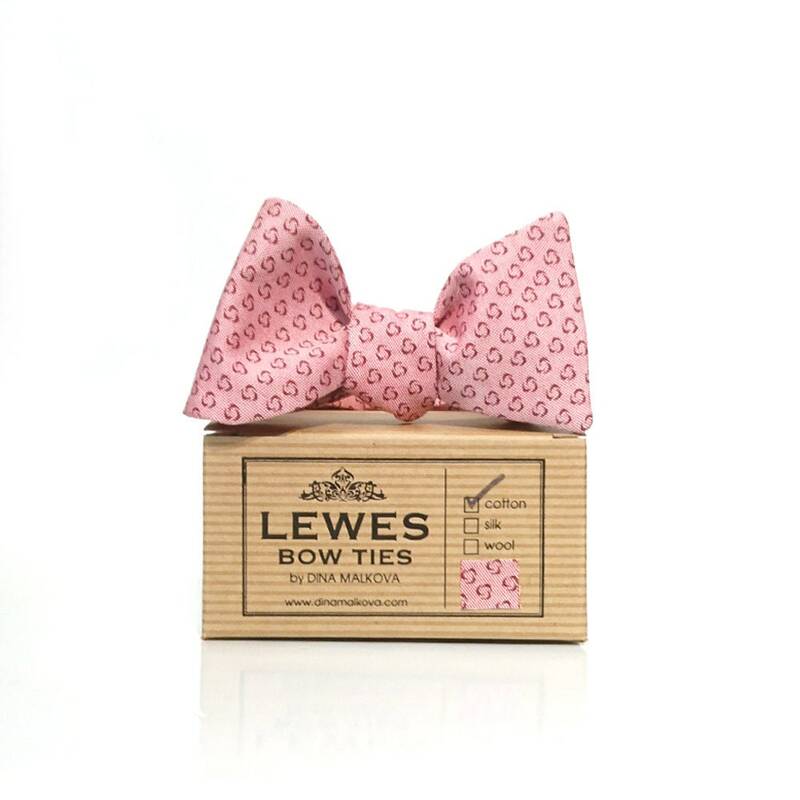 Pink chambray self tie bow tie is made from finest cotton fabric. with pink dots. This bow tie will be perfect with any outfit, including grey, black or navy blue suit. 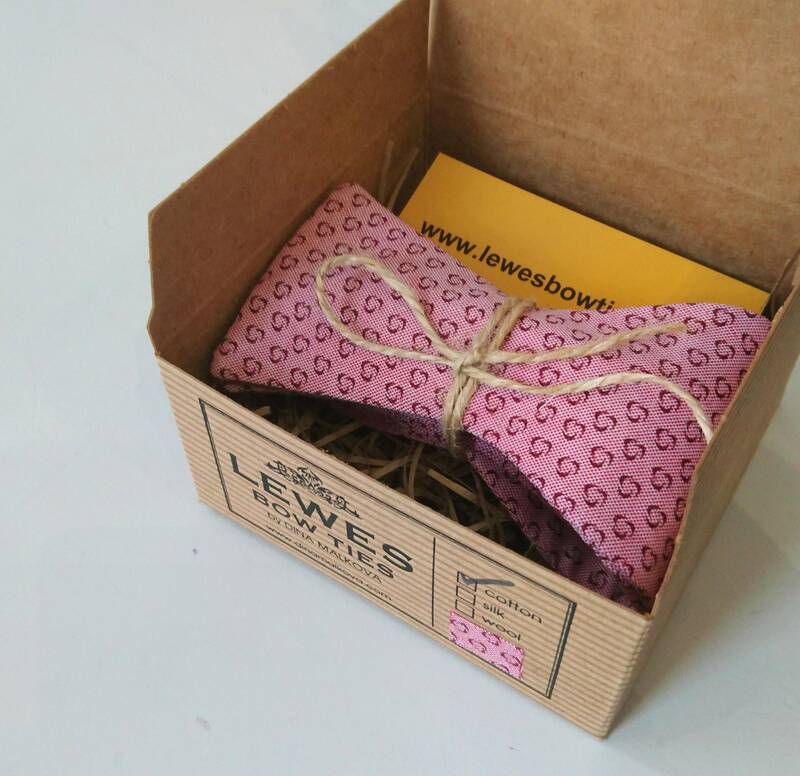 Handmade in our Atelier in Lewes.